They are tweeting, liking, sharing, linking and checking-in–the social customer spends a lot of time online interacting and talking about a vast variety of products and services. The Internet provides endless channels for customers to communicate what they like, love and dislike about new or existing products and services. Undoubtedly, this behavioural trend has dramatically transformed the relationship between customers and companies: As customers actively and voluntarily express their attitudes, beliefs and ideas, companies are looking for more effective ways to engage and leverage this insight to enhance product innovation. More and more, organizations are investing in new technology and training their teams to respond to the changing needs of the social consumer. Social collaboration has redefined the old expression ‘two heads are better than one’ to ‘one hundred (or more) heads are better than one’. Leading-edge organizations like Nivea, Volvo, Danone and Kraft have recognized the value that enterprise-wide methods of collaboration bring to product innovation and have used it to derive new ideas and concepts from all internal and external stakeholders including, customers, business partners, employees and suppliers. Regardless of the industry, experts agree that customer involvement in the product-life cycle management process is a vital component of any successful product development initiative. The challenge that every company faces is how to harness insights from various communication channels towards the creation of products that will succeed in the marketplace. The answer is and has always been: innovation. Reduced time-to-market, increased stakeholder engagement, sustainability and competitive advantage can be achieved by organizations that have effective systems in place to promote and drive product innovation. As organizations re-align their corporate strategies and processes to fit the collaborative, innovative model of product development, they need new technology and tools that will enable them to deal with the complex stages of product innovation. There are many software products that can address these needs, but only provides an extensive and comprehensive suite of blended applications to help manage your product development process from beginning to end. OneDesk helps you manage customer feedback and ideas at the crucial often ‘fuzzy’ front end of product innovation so that development is clearly focused from the beginning. During the stage of creating requirements, OneDesk helps you ensure ideas are further developed and brought to fruition. Comprehensive task management applications help you manage the critical and complex project management phases so that action is taken to develop products and services that meet customer demand. Finally, a social collaboration layer that includes discussions, chat, and blogging keeps your team focused on their goals by structuring the conversation and keeping all stakeholders on the same page. 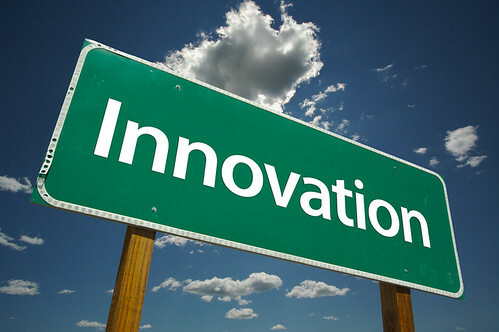 Join the discussion: What are your thoughts on product innovation?